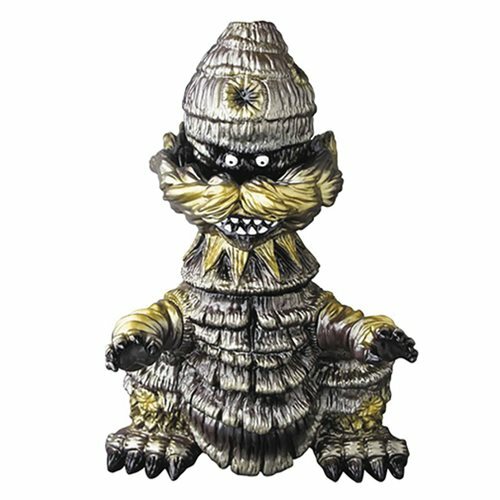 Designed by Gumtaro, the Gevilla Black Sofubi Vinyl Figure is here! This unique Kaiju evokes a taro plant and features a black and gold design painted by Dream Rocket Factory. Make sure not to miss this fun, distinctive monster!